Onion ring lovers who are looking for a lower fat version may enjoy this baked option. 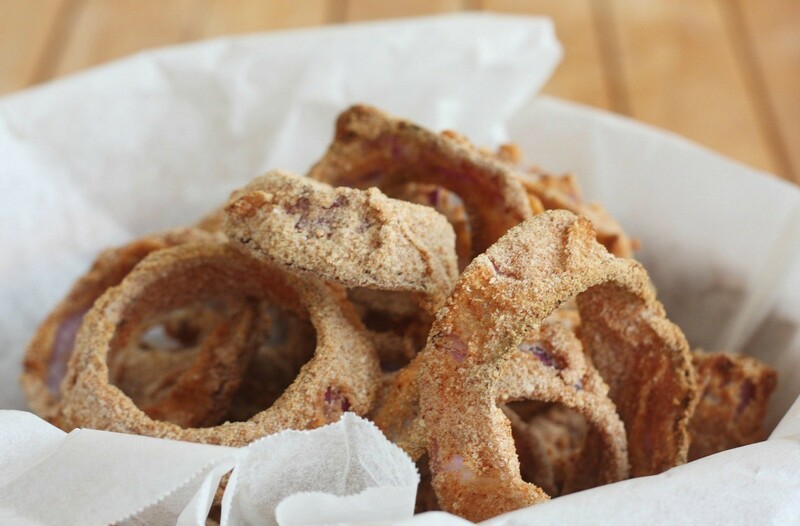 This page contains a recipe for healthy baked onion rings. If you love onion rings but are looking for a healthier option, then try these baked onion rings. Preheat oven to 400 degrees. Spray 2 large cookie sheets with nonstick spray. Cut onion into 1/2 inch thick slices. Separate slices into rings. In a small bowl, combine bread crumbs and garlic. Set aside. Place milk, flour, and egg whites into 3 separate small bowls. Dip each onion ring into milk, flour, egg white and bread crumbs (in that same order). Place on prepared cookie sheets and bake for 20 minutes. Turn onion rings over and bake till golden brown, about 10 minutes longer.